VETERAN squaregaiter Kyvalley Blur served a timely reminder he is still a big race force with an eye-catching victory in Ballarat tonight. 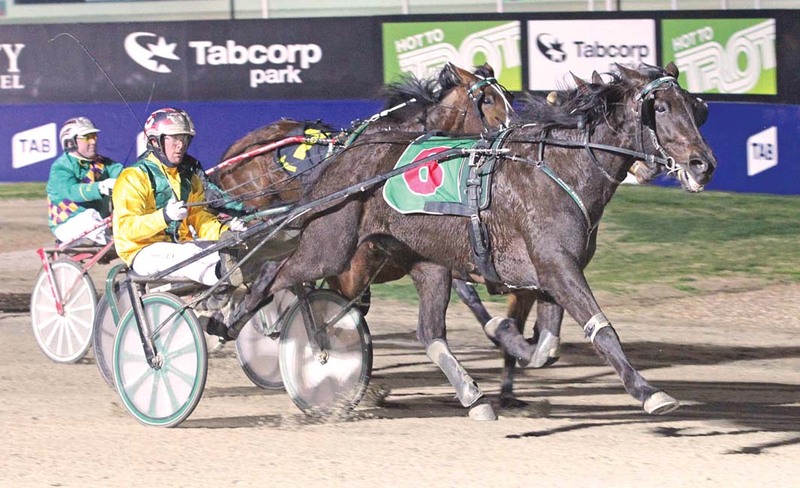 Having performed below expectations during last weekend’s opening Inter Dominion heats at Tabcorp Park Melton, Kyvalley Blur was back to his best to capture a second round qualifier. Driven by Chris Alford, the 11-year-old produced a scintillating sprint along the home straight to score by two metres from Big Jack Hammer, with Sky Petite a half-neck away third. Overcoming an outside of the second row draw, Kyvalley Blur rated 1:55.6 over 1710 metres to equal his personal best time! Naturally thrilled with the son of Chocolatier, trainer Brent Lilley predicted Kyvalley Blur will improve from the run. “I was a bit nice to him after New Zealand on purpose, but I thought he would be sharper than he was in the first heat,” Lilley said. “That run tightened him up and he will be better again for tonight as he heads into the third round on Saturday night. “I won’t do too much with him between now and then. He will have a quiet day tomorrow then I will keep him ticking over as he gets away from you pretty quickly. Citing Tornado Valley as the one to beat in the Championship, Lilley believes the series remains an open affair. Successful during the opening round, Tornado Valley confirmed his status as favourite by leading throughout in this evening. Driven by Kate Gath, the son of Skyvalley rated 1:56.1 – including a blistering 27-second final quarter – to account for Save Our Pennys and Speeding Spur. The Andy Gath-trained gelding remains unbeaten from five starts this season. “Tornado Valley is the one to beat, but there are still several good chances,” Lilley said. “Speeding Spur is in top form, Maori Law had no luck tonight but went well in the opening heat and Tough Monarch has been consistent.